Civil Engineering Association - USA - ACI 318 S 05 for Structural Concrete- Spanish version. Civil Engineering Association > eBooks > Codes, Manual & Handbook > Non-English written codes > USA - ACI 318 S 05 for Structural Concrete- Spanish version. 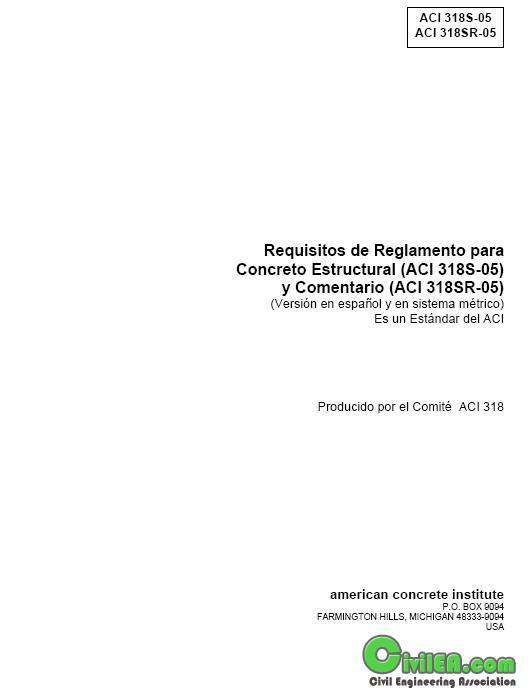 Full Version: USA - ACI 318 S 05 for Structural Concrete- Spanish version.